It was a night of fun and glamour as society friends let down their hair at the Miu Miu Disco. 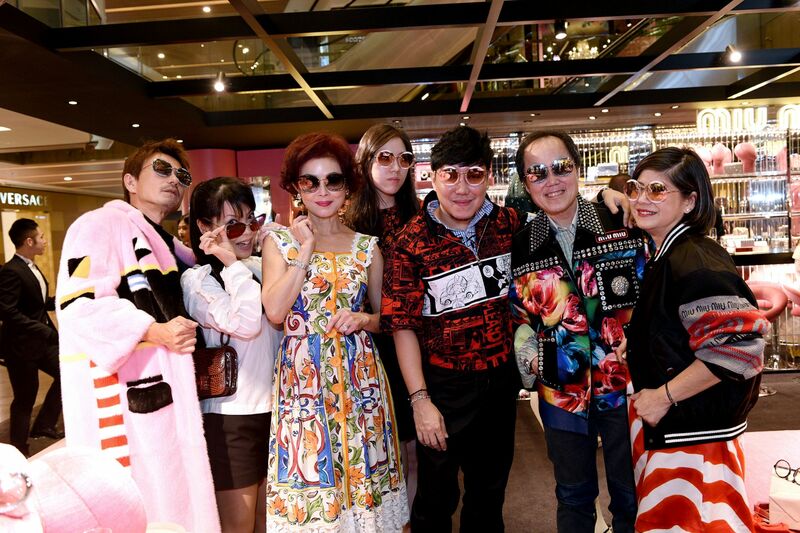 After a fun fashion presentation by contributing fashion director Desmond Lim and the ever-stylish Dawn Koh, guests explored the pop-up space, decked out in hot pink plush seats, mirrors and dazzling disco balls. The ephemeral discotheque played host to a selection of bags, accessories and shoes, stealing the spotlight in metallic shades of gold, silver, periwinkle, rose and black. Playful bejewelled sunglasses were also in the mix, clearly a favourite with the party-goers that night. Miu Miu Disco will run until February 21, 2018 at The Paragon.